I shared my blog post about the Johnny Depp 2015 calendar with my husband and his response, other than a chuckle, was to say, "What are you going to do when there's a Robert Downey Jr. calendar?" I grabbed our iPad mini and pulled up Amazon and within a couple of minutes I had discovered that there is a Robert Downey Jr. calendar. Who would have guessed? 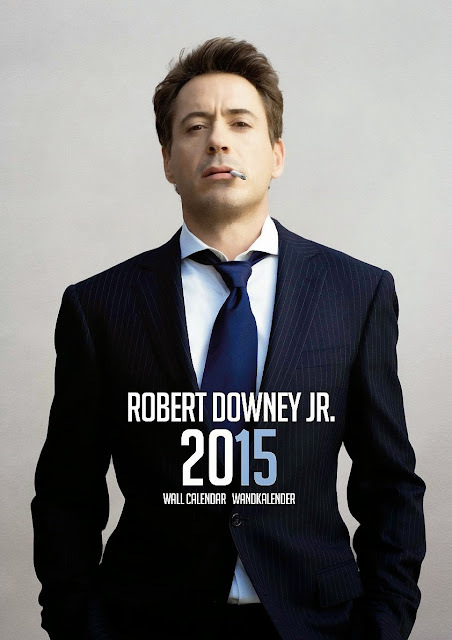 I'm a big fan of Downey's character Tony Stark in the Iron Man and I recently saw and enjoyed him playing his cocky self in The Judge so I was curious about the calendar and you can see for yourself what I found. An aside with regard to the movie The Judge. I would recommend it. 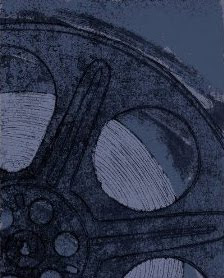 It's a fun movie with Downey and Robert Duvall. Some criticize saying Downey was playing another version of himself but I still enjoyed the movie. Do you like Robert Downey Jr.? Do you like the images of the actor they've chosen to feature on this calendar? 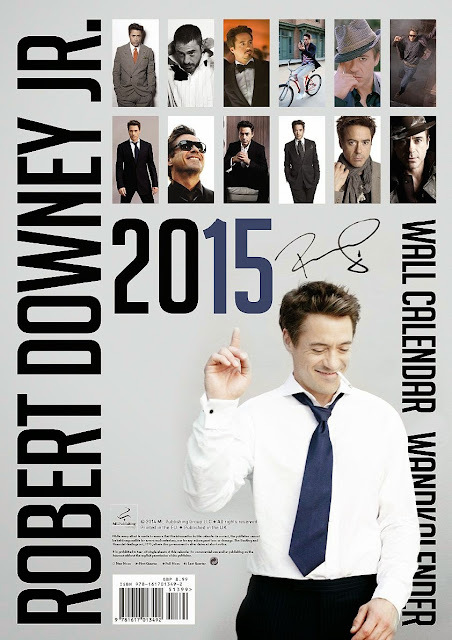 Read more about this Robert Downey Jr. 2015 calendar on Amazon.